Last November, Pinegrove frontman Evan Stephans Hall posted on Facebook that he had been accused of “sexual coercion,” admitting that he had abused his status as a member of a popular band by getting involved “flirtatious” and “intimate” relationships with fans that he had since realized were something that is “not ever appropriate… even if they initiate it.” Pinegrove also announced that it was suspending its current tour, and label Run For Cover later announced that it and the band had mutually agreed to part ways. 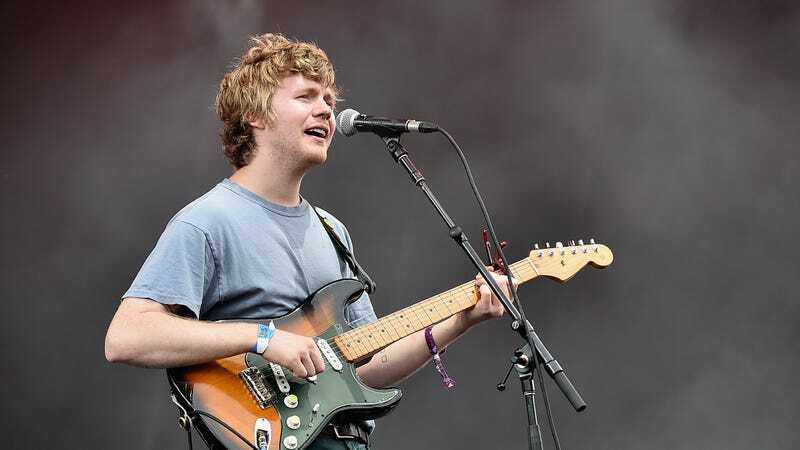 Now, after taking a year off so Hall could undergo therapy—a request made by the accuser referenced in Hall’s Facebook post—Pinegrove is preparing to self-release its new album Skylight on September 28, with all of the profits going to the Voting Rights Project, the American Foundation For Suicide Prevention, and Musicares. That news came as part of a lengthy essay from Pitchfork’s Jenn Pelly about Pinegrove and Hall’s ongoing attempts to atone for his actions, during which Pelly notes that the accusations against Hall were much more complex than his vague Facebook post let on. As it turns out, the reason Hall came forward with his post before any public allegations had come out was because he had been messaged by Sheridan Allen, the founder of music-themed mental health organization Punk Talks, who emailed Run For Cover and Pinegrove to say that she had been contacted by someone with allegations against Hall and that “as a mental health professional” she believed that he should seek treatment, step away from music, and release a public statement. Allen—who is not a licensed therapist—also suggested that Punk Talks itself could offer “rehabilitation services” to Hall, which Pitchfork notes isn’t normal therapist behavior. The accuser has granted her approval to Hall and Pinegrove to release this album and play some shows later this year, so if that impacts how you feel about the band, then that’s fine. If not, that’s also fine.